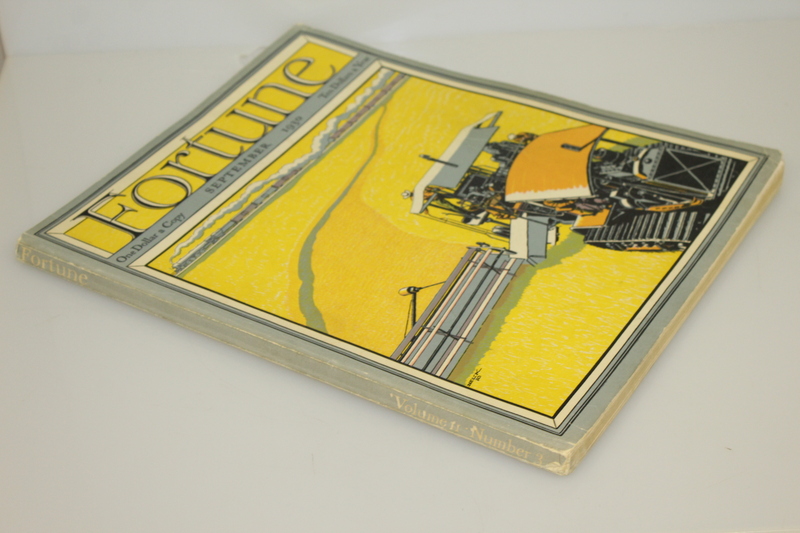 Fortune Magazine is a business oriented magazine first published in February of 1930. 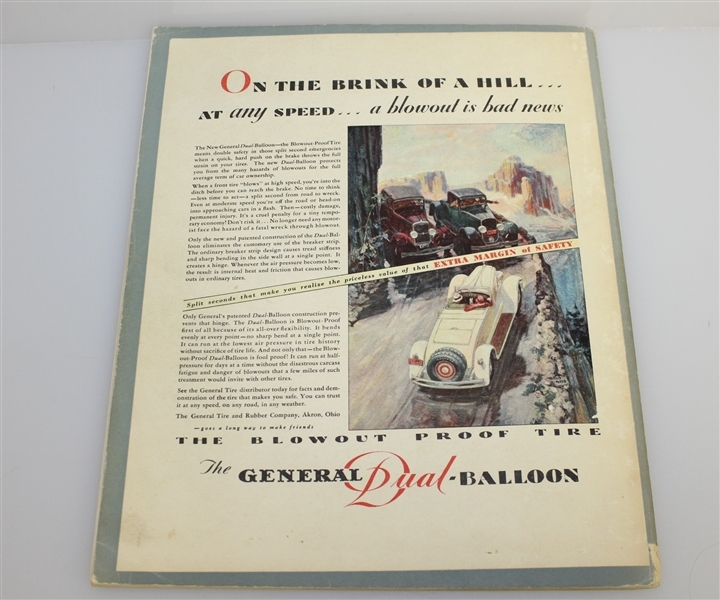 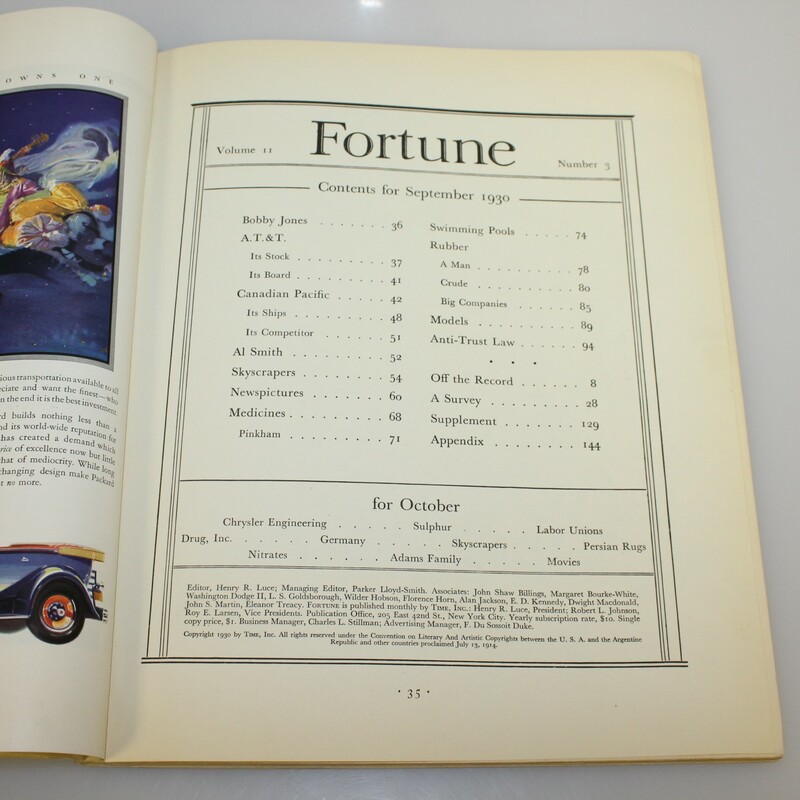 The magazine became somewhat of a trendsetter as far as the layouts of business magazines were concerned. At the time most business magazines were nothing but statistics printed in black and white. 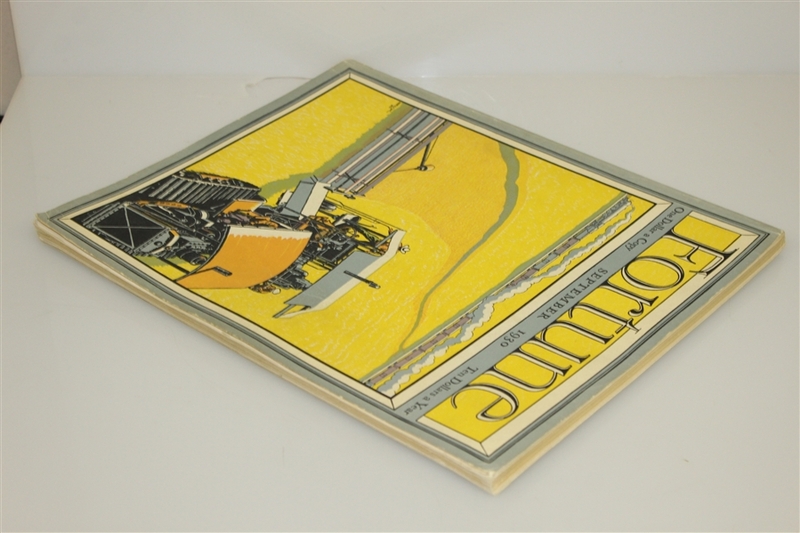 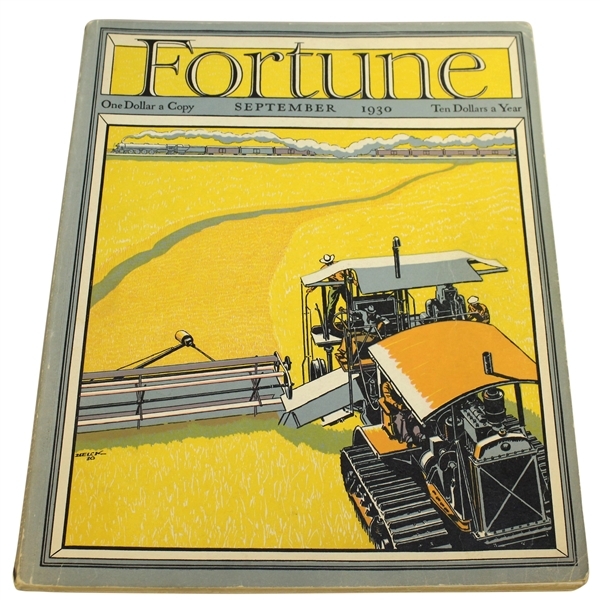 Fortune was an oversized 11"×14", using creamy heavy paper, and art on a cover printed by a special process.Fortune was also noted for its photography, featuring the work of Margaret Bourke-White, Ansel Adams, and others. 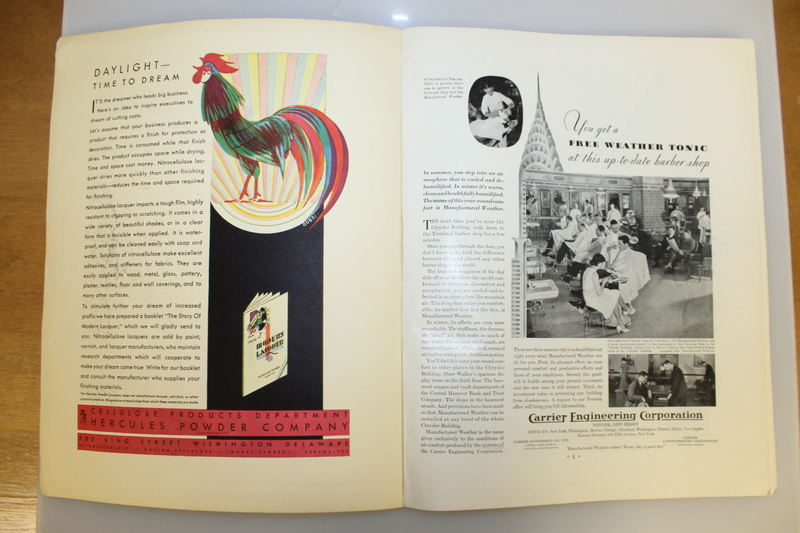 Walker Evans served as its photography editor from 1945 to 1965. 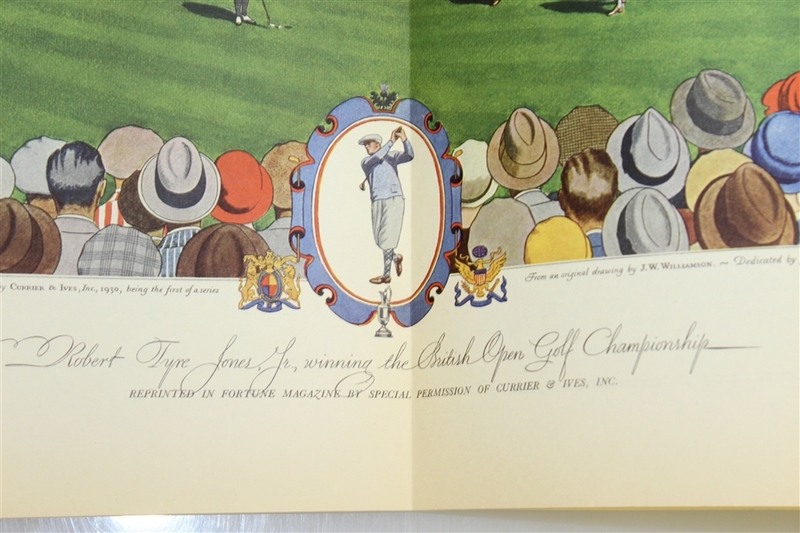 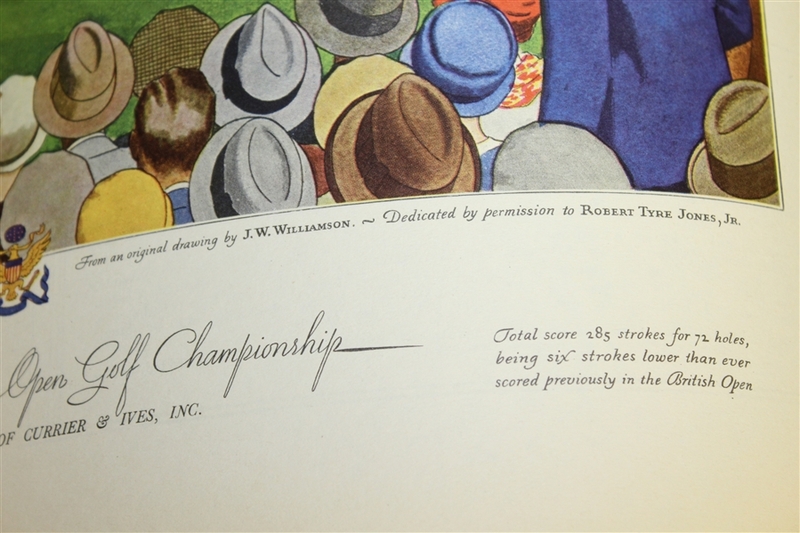 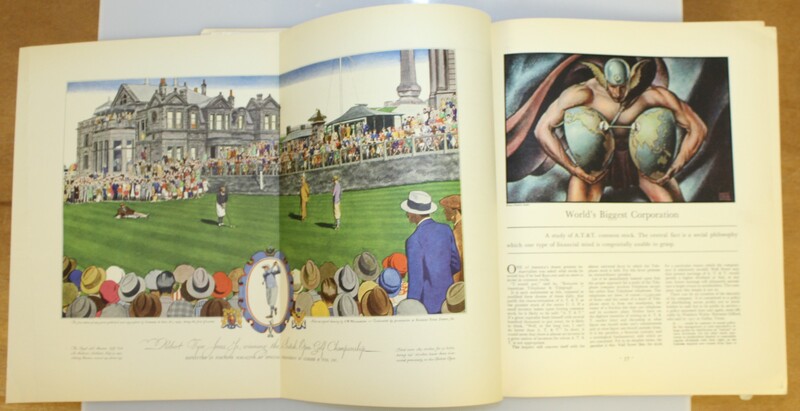 This lot features the September issue from 1930 featuring a 1930 Currier & Ives print titled "Robert Tyre Jones Jr. Winning the British Open Golf Championship". 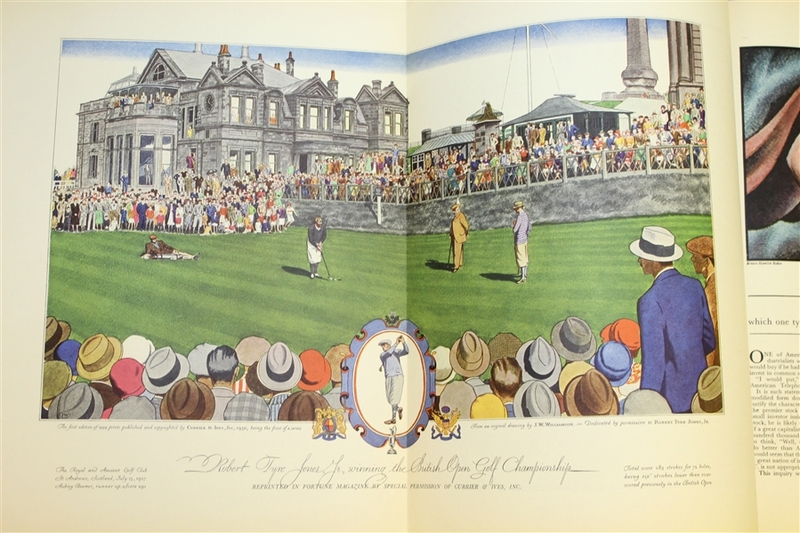 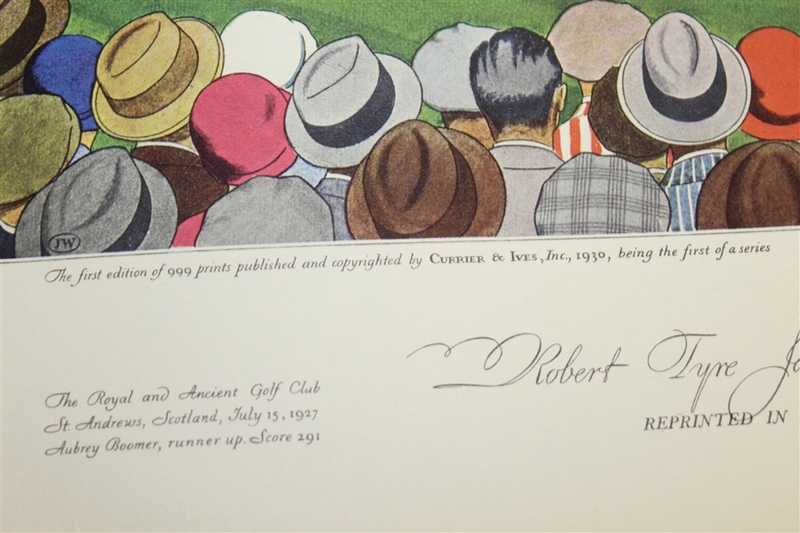 This print shows Bobby Jones sinking the winning putt in the 1927 British Open at St. Andrews carries a full signature from Robert T. Jones Jr. which is spectacular in its self.